Now this is a type workshop! to some stunning work. Special thanks to Mohammad for sharing this exciting event. Previous: The drop shadow lives. 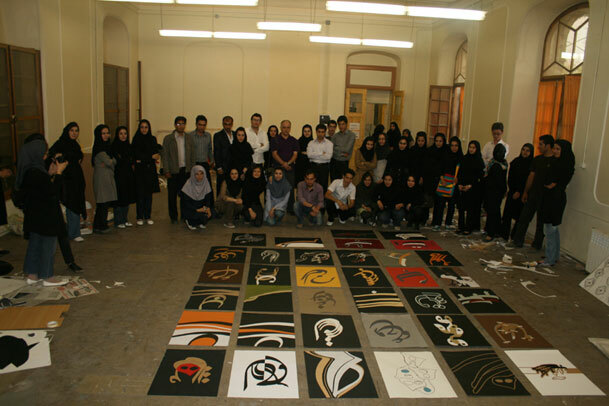 Tabriz Type: Now this is a type workshop! Obama makes a global invitation to Iranian representatives for July 4th celebrations in embassies and consulates worldwide. Small steps, great strides. This entry was posted by Erik Brandt on Friday, May 29th, 2009 at 9:53 AM	and is filed under Aktuell, Education, Geotypografika, Globalization, Graphic Design, International, Internet, News Links, Photography, Typografika, Typography.